One of the world’s largest environmental cleanup projects is underway in Washington state. 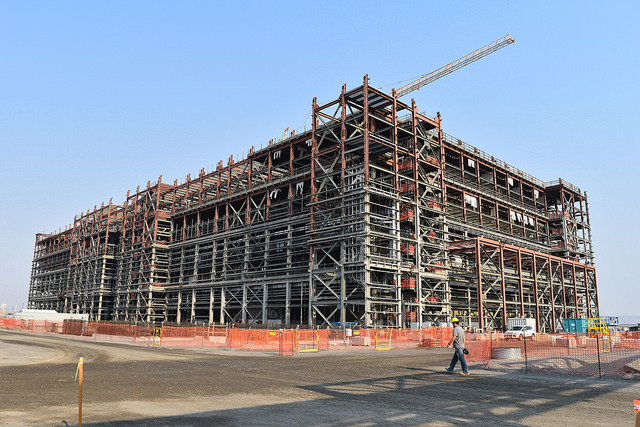 Here, Bechtel leads the team designing, constructing, and commissioning the world’s largest and most technically sophisticated radioactive waste treatment plant (WTP). 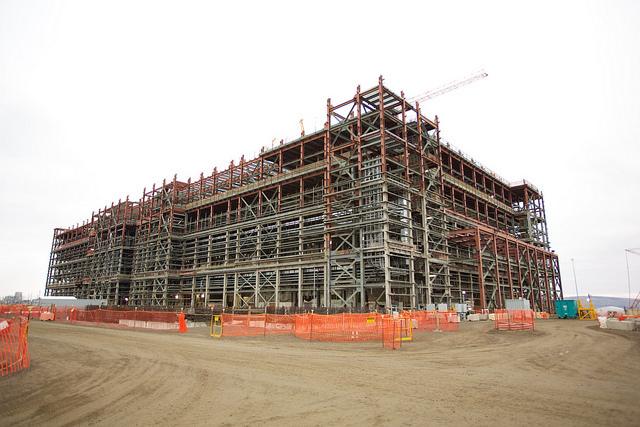 This one-of-a-kind complex will immobilize through vitrification a large portion of Hanford‘s 56 million gallons (nearly 212 million liters) of radioactive and chemical liquid waste, a legacy of World War II and Cold War nuclear weapons production. 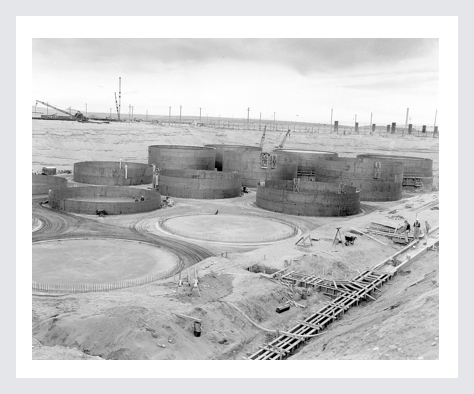 The 586-square-mile Hanford Site was home to the world’s first plutonium production complex. 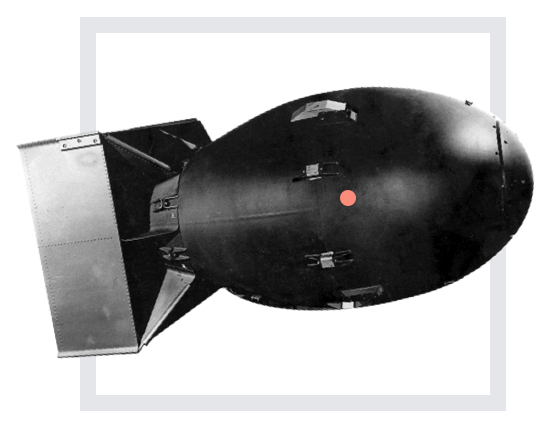 Beginning with the Manhattan Project and throughout the Cold War, Hanford played a pivotal role in providing nuclear materials for the nation’s defense program. Over 40 years of operations, the site’s nine reactors produced approximately 74 tons of plutonium – nearly two-thirds of all the plutonium recovered for government purposes in the United States. Weapons-grade plutonium was produced at the Hanford Site during World War II and the Cold War era. Decades of plutonium production left 56 million gallons of radioactive and chemical waste stored in underground tanks. Plutonium is rarely found in nature – only trace amounts have been documented. But small amounts can be produced when solid uranium fuel rods are used in nuclear reactors. The plutonium must be chemically separated from the fuel and then concentrated. A complex and extremely inefficient process that creates prodigious amounts of chemical waste and leaves other radioactive byproducts. Hanford’s reactors were shut down in the late 1980s. But this work over the decades yielded a challenging nuclear waste legacy. A massive, DOE-led environmental remediation project at Hanford is cleaning up contaminated soil and demolishing the old reactors. There remains enough radioactive and chemical waste that, if stacked above a standard U.S. football field, would rise some 15 stories high. It’s stored in 177 underground tanks located on Hanford’s Central Plateau, 7 miles from the Columbia River. The tanks are old; 67 are believed to have leaked a total of about 1 million gallons of waste into the soil. In order to protect the river, the waste must be removed from the tanks and processed to a form suitable for disposal, and the tanks stabilized. Since 1898, we’ve completed more than 25,000 extraordinary projects across 160 countries on all seven continents. That is where the Waste Treatment and Immobilization Plant comes in. Originally designed in the 1990s and fast-tracked for construction in 2000, the massive facility’s job will be to convert – or vitrify – the waste into a glass form for safe storage. A simplified version of the story goes like this: the waste will be mixed with silica and other glass-forming materials to form a slurry. The slurry will be fed into a melter, where it will be heated to 2,100 degrees Fahrenheit. The melted slurry then will be poured into large stainless steel containers. The substance will be cooled for several days, then each container will be welded shut. Finally, the waste with high levels of radioactivity will be shipped to a federal facility for permanent disposal. 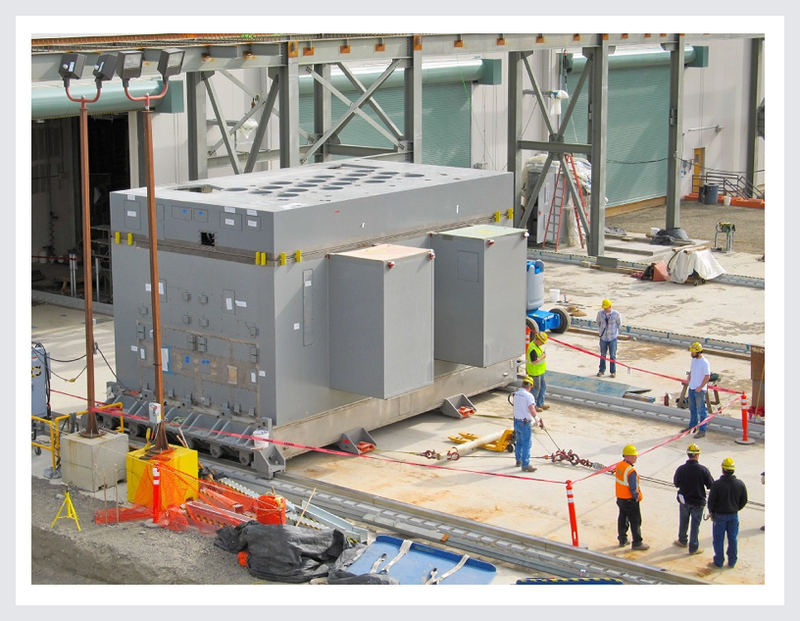 The lower-level radioactive waste will be disposed of in an existing site at Hanford. WasteSilica2,100°MelterGlassifiedWastemixed withforms a slurrymelted slurry poured intoStainlesssteelcontainers. But the longer version is a massively complex technical puzzle that the nation has wrestled with for decades – with challenges ranging from how to pipe the liquid and sludge to the plant, to preventing unacceptable buildup of plutonium in the plant’s inner workings, to servicing parts of the plant so radioactive that no humans can enter, to protecting workers and the public during plant operations. Constructing such a plant requires specialty-grade concrete, steel, and other building materials normally used only in nuclear power plants.National laboratories and experts from around the world have contributed to the science behind the facility, which must be built to withstand powerful earthquakes, tornadoes, and other hazards. Some walls are 6-foot thick reinforced concrete. 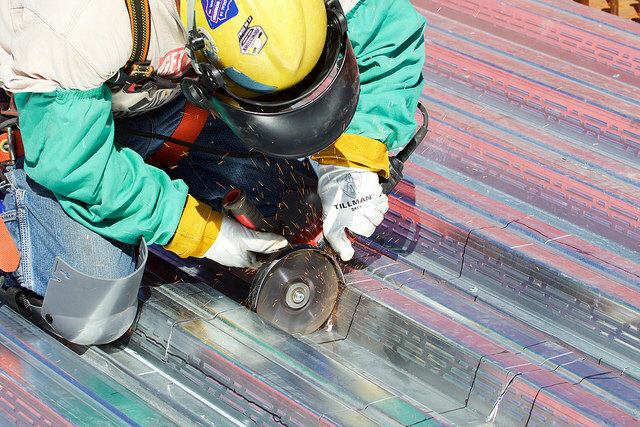 An employee cuts through a piece of steel decking at the top of the High-Level Waste Facility. Insulated piping is installed on overhead piperacks throughout the site. 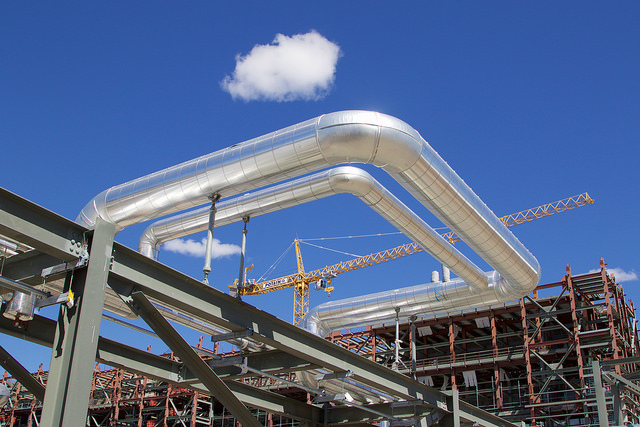 The pipe will carry steam condensate, high-pressure steam, and chemical reagents between process and support facilities. 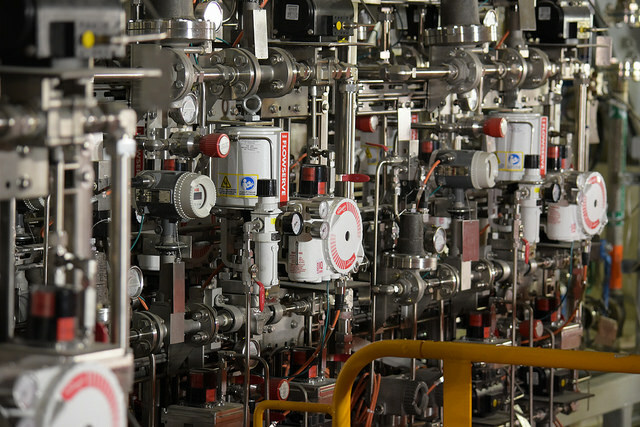 Various process piping is installed throughout the Low-Activity Waste Vitrification Facility. 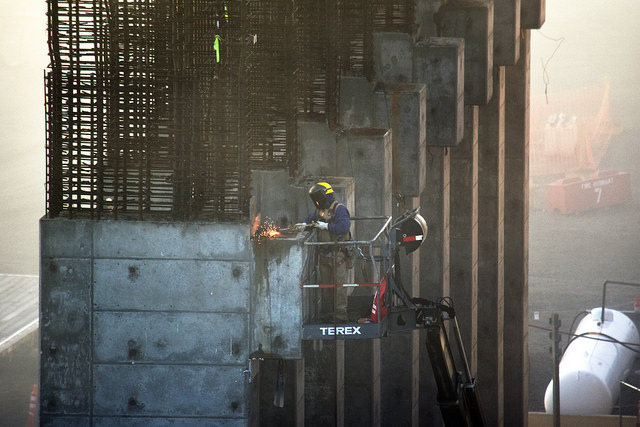 Ironworkers install rebar at the top of the High-Level Waste Vitrification Facility truck bay wall. 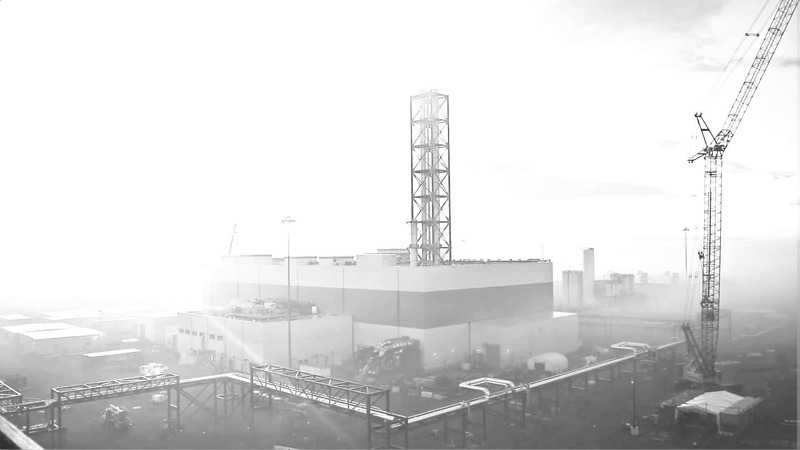 Fog rolls over the main facilities at the Hanford Vit Plant. An employee welds steel embeds installed on the top of the High-Level Waste Vitrification Facility truck bay. Employees place about 130 cubic yards of concrete for a slab at the top of the High-Level Waste Facility. Our success around the globe is inextricably linked to society’s progress. Together with our customers, we deliver landmark projects that foster sustainable economic growth. The tanks at Hanford contain a complex mixture of waste that changed over time due to radioactive decay and chemical reactions. 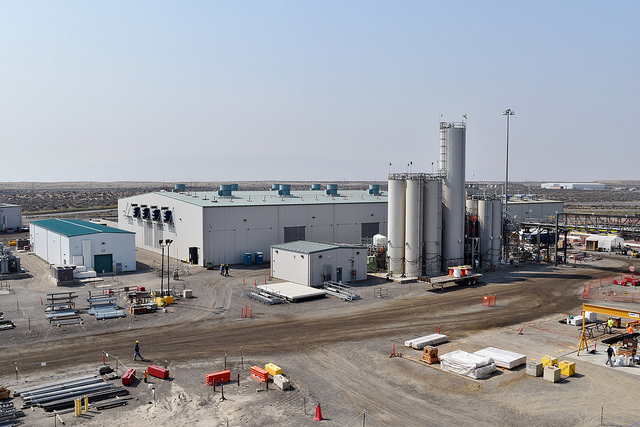 Hanford tanks range in capacity from 55,000 to more than a million gallons. 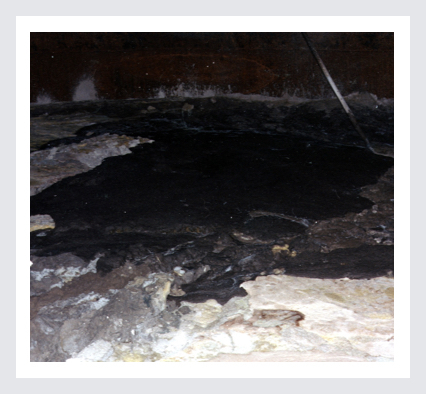 Dense, water-insoluble components that generally settle to the bottom of the tank to form a thick layer known as sludge, which has the consistency of peanut butter. Water-soluble components such as sodium salts that crystallize or solidify out of the waste solution to form a moist sand-like material called saltcake that forms above the sludge. Liquids comprised of water and dissolved salts called supernate found above and between layers of saltcake and sludge. Adding to the challenge, the various layers of waste in the tanks are not uniformly distributed and often differ from tank to tank and even from place to place within a tank. Some tanks contain all three main waste forms—sludge, saltcake, and liquid—while others contain only one or two forms. While vitrification is already in use at the Savannah River Site in South Carolina, the scale and complexity of the WTP make it truly a first-of-its-kind facility. 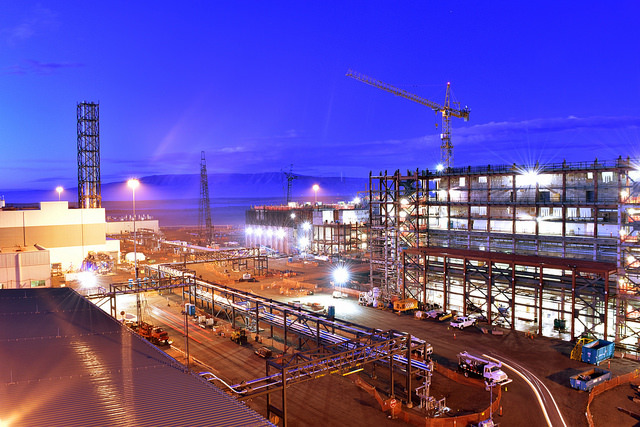 The WTP Project is a feat of engineering and construction at an unprecedented level. It is the largest undertaking of its kind and one of DOE’s most technically challenging clean-up projects. The WTP Project is equivalent to building two nuclear power plants and is being accomplished at a time when a new nuclear facility has not been built in the U.S. for decades. Every day, we strive to build a better company, a better community, a better world. We work to protect people and the environment, promote economic development, and partner with communities and society. WTP includes four major nuclear facilities —Pretreatment, Low-Activity Waste Vitrification, High-Level Waste Vitrification and Analytical Laboratory — and more than 20 supporting buildings and utilities collectively known as the Balance of Facilities. 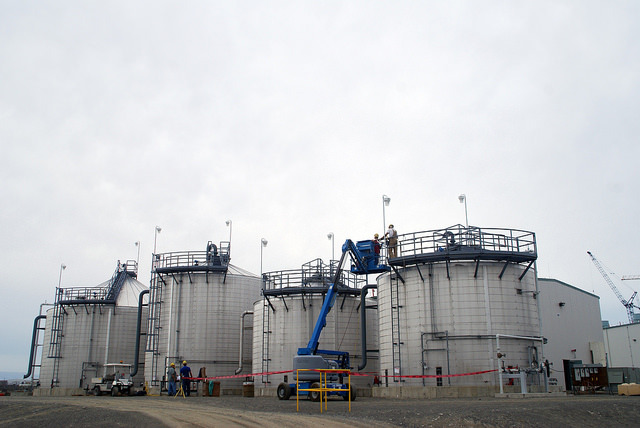 The plant is being designed to process tank farm waste over roughly a 40-year period. The Department of Energy is prioritizing construction of the Low-Activity Waste Facility, Balance of Facilities, and Analytical Laboratory – the work necessary to feed low-activity waste directly to the Low-Activity Waste Facility as the first phase of plant operations. Under this approach, called Direct Feed Low Activity Waste, or DFLAW, initial waste treatment is projected to begin as soon as 2022, with the plant expected to reach full operations at some point in the following decade. DFLAW will address the most mobile tank waste, the supernate, which accounts for up to 80 percent of the waste by volume. Low-activity waste containers will be 4 feet in diameter, 7 feet tall, and weigh more than 7 tons. Even greater challenges exist for the remainder of the waste. A Pretreatment Facility is being built to separate higher-activity waste in the sludge and solids for treatment in yet another building, the High-Level Waste Vitrification Facility. The High-Level Waste Facility will have another set of melters and a canister-filling system. Each canister will be more than 14 feet tall and weigh more than 4 tons. Each of these facilities is the size of a sports arena. The glass former silos and chiller compressor plant are part of the Balance of Facilities. 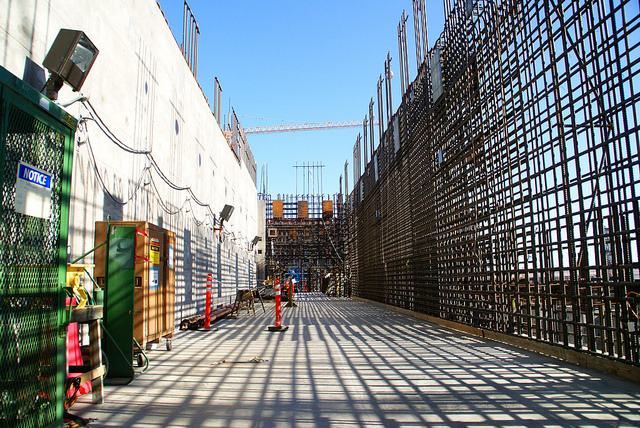 A rebar wall casts shadows on a completed concrete slab and wall at the top of the High-Level Waste Facility. 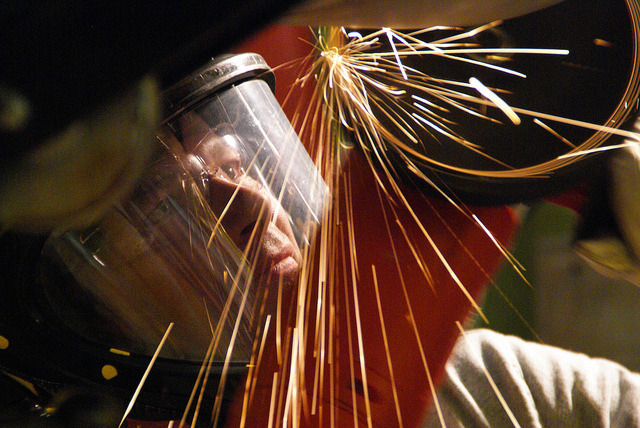 An employee wears a respirator while grinding pipe at the 48-foot elevation of the Low-Activity Waste Facility. 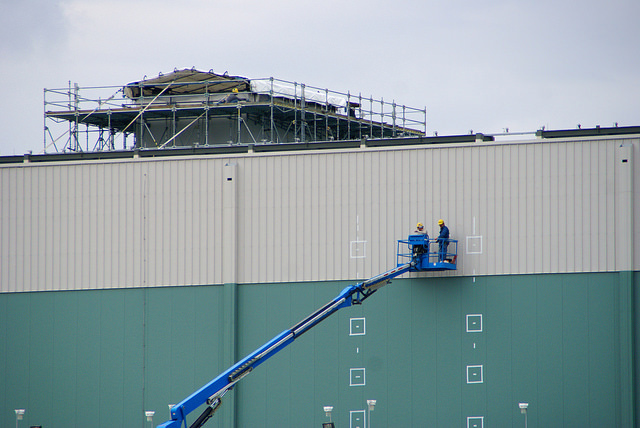 Employees on a lift prepare to install piping and supports to the side of the Low-Activity Waste Facility. The Waste Treatment Plant construction site. 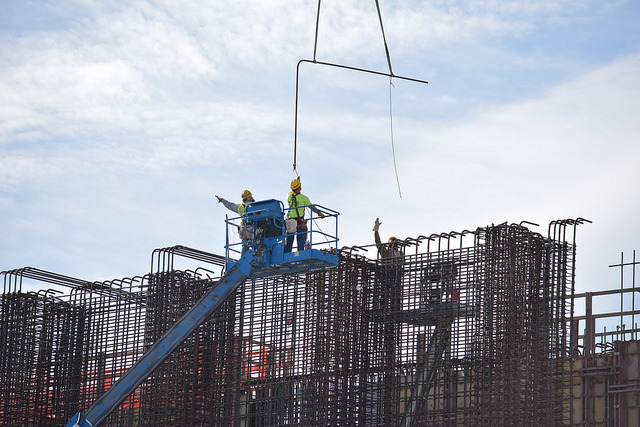 Employees install steel at the 58-foot elevation of the High-Level Waste Facility. The steel frames the southeast corner of the facility. . 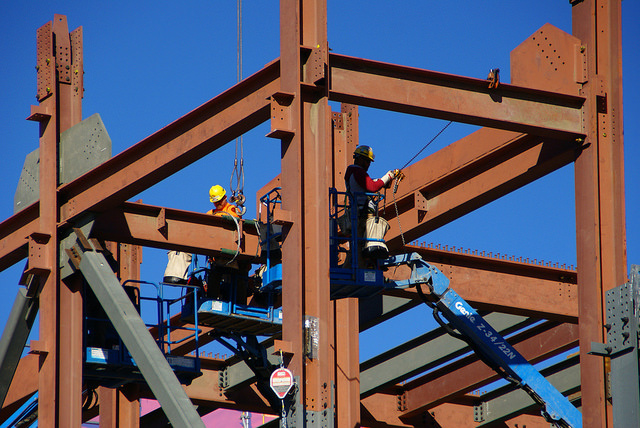 Structural steel frames the Pretreatment Facility exterior. Employees work atop the Balance of Facilities water treatment tanks. As the WTP contractor, Bechtel National must design the facilities; perform procurement and construction; conduct acceptance testing; select and integrate a subcontractor into the project team to provide the necessary operating and commissioning capability; and conduct all required environmental, safety, quality, and health activities. 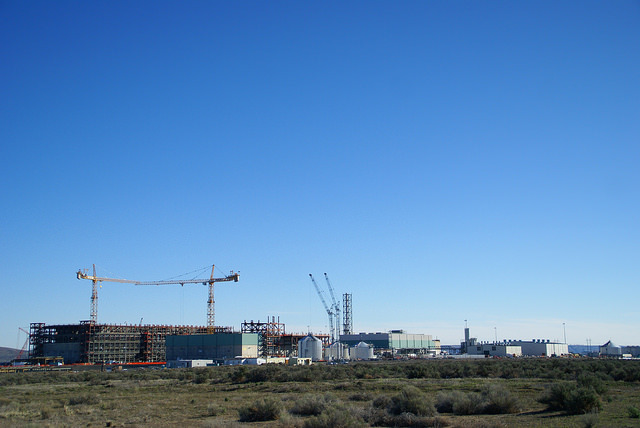 Bechtel has multiple responsibilities but a single goal: make glass.The tank waste at Hanford – the legacy of more than four decades of plutonium production – poses a threat to human health and the environment. Bechtel is committed to helping the nation eliminate this threat by completing WTP as safely and expeditiously as possible. 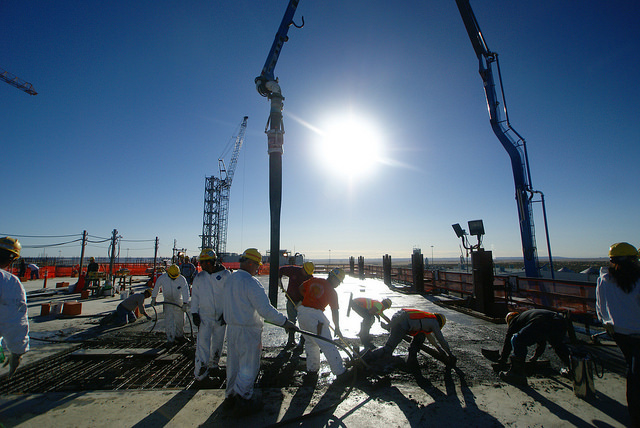 Bechtel is built upon time-tested values of safety, quality, ethics, and integrity. These values are what we believe, what we expect, what we deliver, and what we live.